Today’s enterprises typically have over 700 different cloud services running on their network or mobile devices—an alarming figure considering only about 7 percent of services used are considered safe and “enterprise ready.” Skyhigh Networks allows CIOs to embrace the cloud and discover which services employees are using (and how) as well as to analyze usage patterns to detect anomalies and malware and encrypt data stored in the cloud. 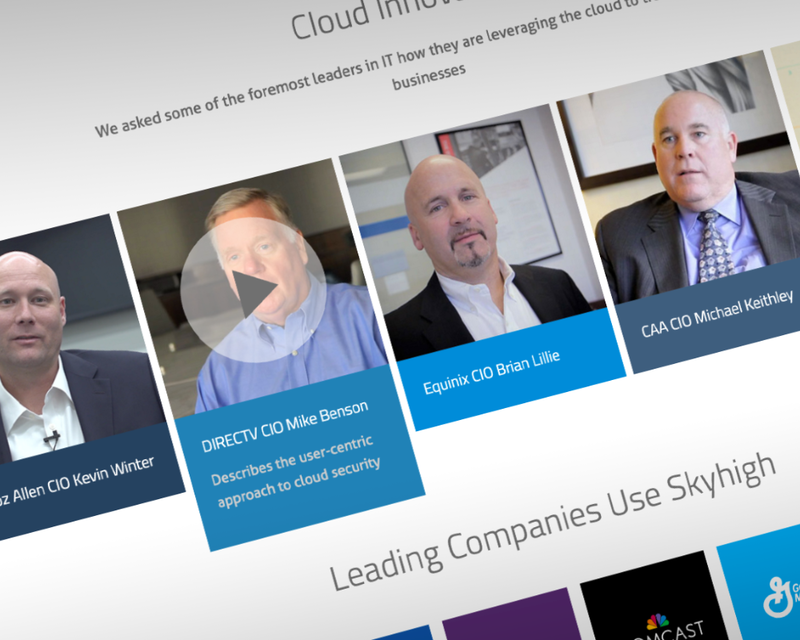 In recent years, Skyhigh Networks has expanded rapidly and required a versatile website that reflected its brand and growing dominance in the increasingly crowded cloud application analytics space. Skyhigh Networks understands the value of a strong, consistent brand and allowed us to take the moodboards in several directions. Our moodboards allow us to determine the visual direction of the website, not specific design elements within the site. Using the design of Skyhigh’s elegant yet complex proprietary software as inspiration, we worked our designs to mirror the same balance that Skyhigh achieves—cleanly consolidating information to keep users engaged while still allowing the interested to dive deep. 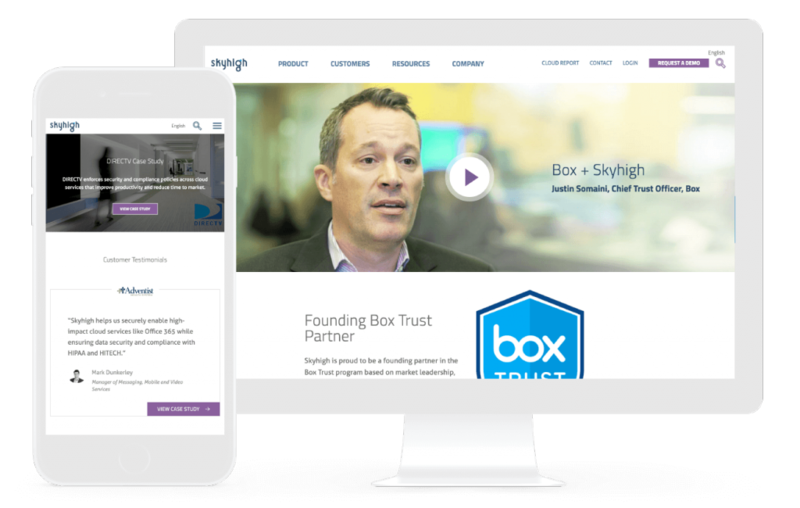 When Skyhigh expressed the need for a website that could grow with the business and that truly represented the company as an innovative leader, we went a little overboard. We delivered a comprehensive content block system used within WordPress, which allows the client to easily make sweeping updates to any page without impeding the design or search optimization in the least. 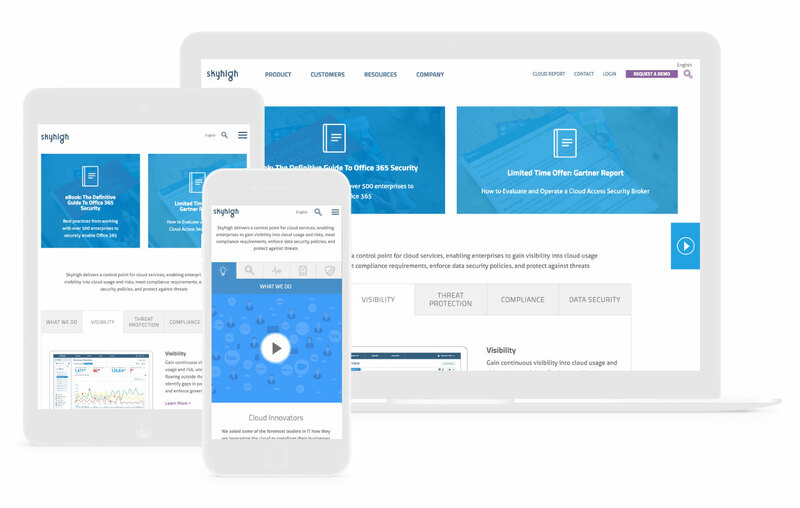 Using Skyhigh Networks’ own attention to detail as inspiration, we built subtle yet compelling features on the homepage and throughout the site. This included customized video loading animations and understated parallax scrolling to intuitive hover states and scalable menus—all working to reflect the polish and sophistication of both Skyhigh Networks as a company and its product. Icon designs, within web design or any other medium, serve as cognitive waypoints for areas of interest and interaction. While iconography could never replace the written word, it provides a universal communication system. We developed a custom icon set to supplement Skyhigh’s robust navigation menu and highly technical content. The thin lines and simplified forms reflect modern aesthetics while remaining relevant to the messaging and adding an extra level of intuitive way-finding for the user. We won’t pretend that this project didn’t put us to the test. 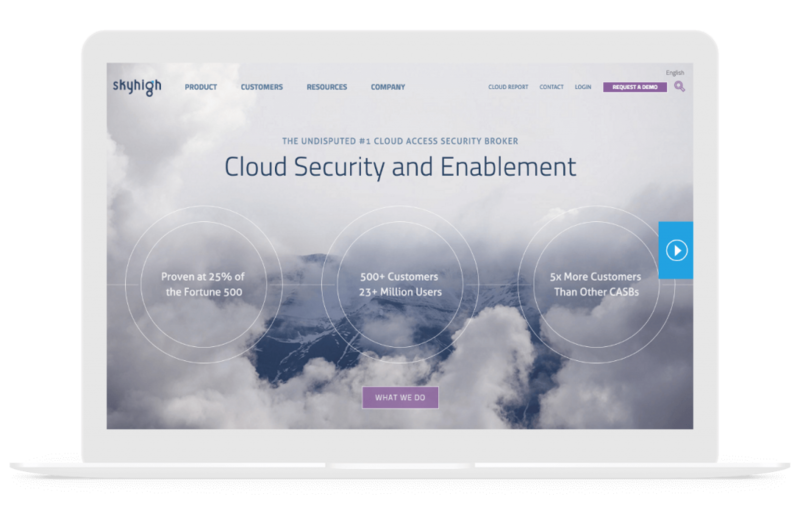 Skyhigh Networks required a robust website with elegant, on-brand design, an extremely versatile content management system, and subtle animations throughout that reflect Skyhigh Networks’ own attention to detail within the cloud application analytics space—all in under two months. 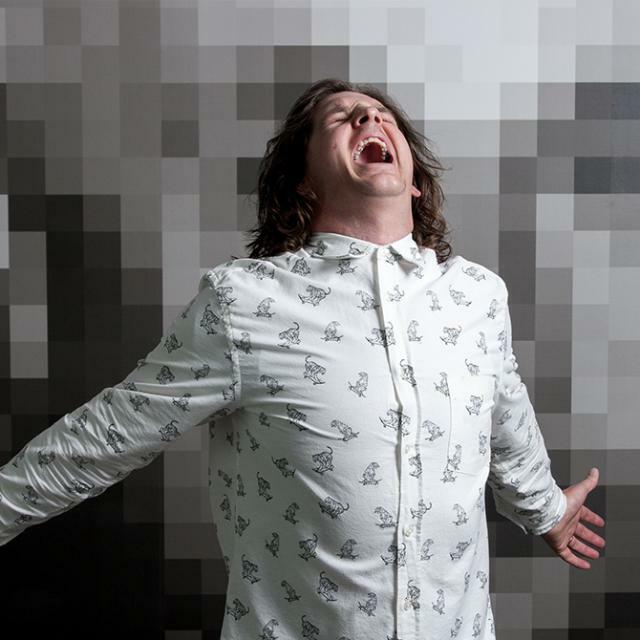 Since the launch of the redesigned website, traffic has soared and conversion rates have tripled. Using the website as a springboard (along with our quick turnarounds) we became Skyhigh Networks’ dedicated design and hosting agency—tackling print collateral, Slideshares, presentation templates, social media graphics, and much more. Top enterprise website are never truly complete. 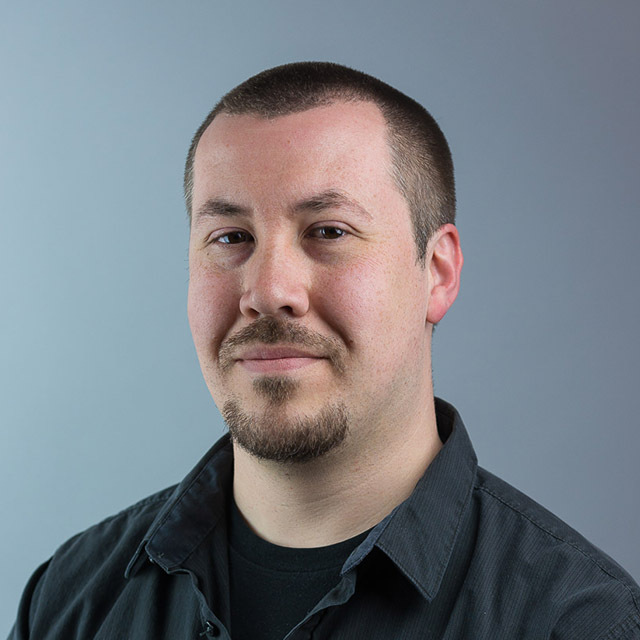 Instead, to remain relevant in a competitive field you must treat your website like a living, breathing marketing machine that requires constant updates, edits, tweaks, and even full redesigns to certain sections. Every change is carefully measured, tested, and iterated upon until goals are met and conversions are boosted. In fact, through the years we’ve adjusted the content and design on nearly every high-level landing page, conversion form, and gateway throughout the site to ensure that SkyHigh not only keeps up with the Silicon Valley Joneses, but easily outshines them.